Integrated labels are one of the printing world’s most versatile label form combos on the market. Traditionally, they have been used for shipping and invoice labels. However, they have crossed over to provide solutions to many business processes. Caterers and restaurants are using integrated label forms to take orders using the paper portion for the order information/barcode/number and the peel out labels to attach to food containers, bags, and boxes for delivery to customers to help with tracking and billing. Automotive shops are doing something very similar with labeling parts and even keys with the label portion and listing the service and parts on the paper area. There really is not an industry that cannot benefit in some way using integrated labels. Choosing to purchase blank or custom printed stock is a relatively easy process. If you change your forms often, then blank stock will keep you from wasting unnecessary forms. However, if you do not change your form often, and there is a lot of color or printing on your integrated label form, then pre-printing a portion of the form may save you money on toner. Sometimes you just have to experiment with a process until you know what works best for your business. This is why Printingworx offers low, one carton minimum orders. Your business can purchase a carton or two, and this way you are not stuck with useless inventory. 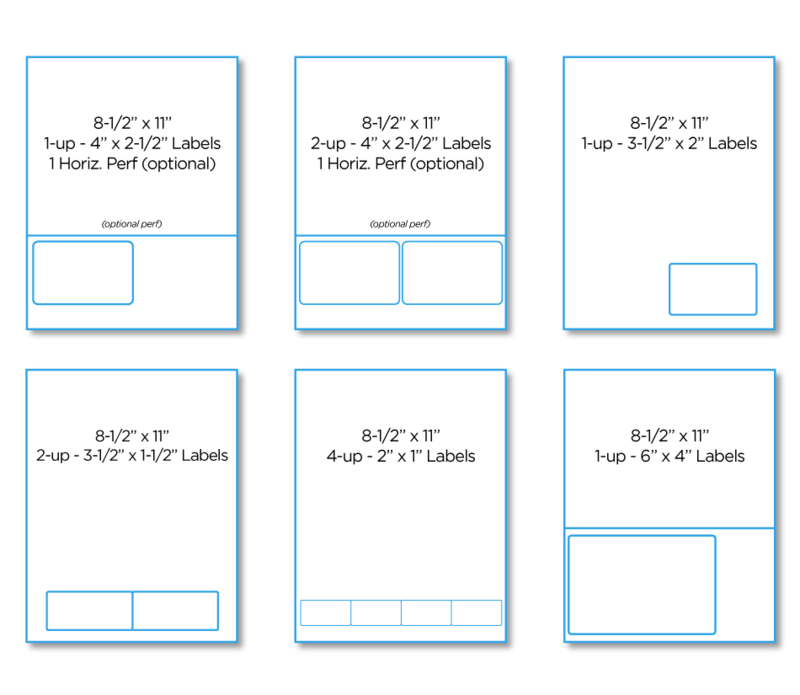 Check out our integrated label templates to help you with layouts when printing, or to view more size specifications.